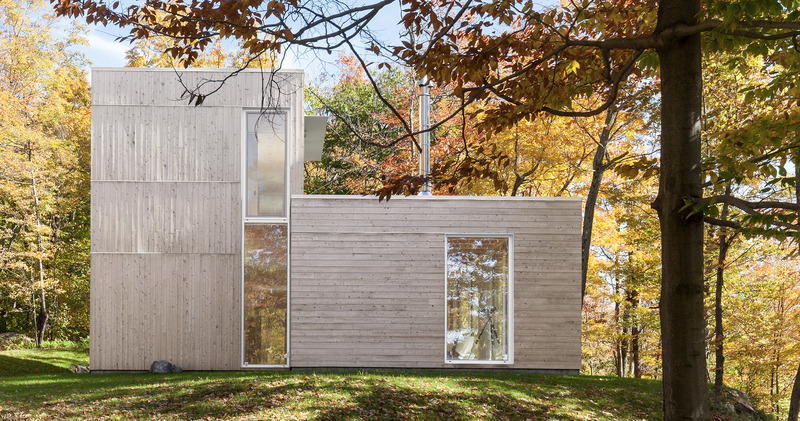 The house features flat roofs, with a single-storey section and a two-storey part. 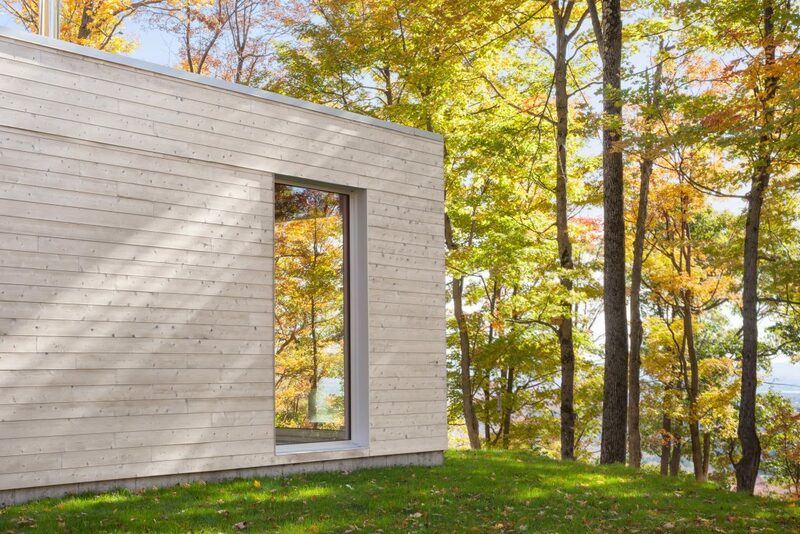 The exterior is clad in eastern cedar. Oh to dream, to close one’s eyes and imagine. But focus. Picture a dream home. What would it look like? From the exterior? The interior? What kind of space have you always wanted? Take a few moments and conjure an image in your mind: The look, the style, the features, the furnishings. How would it all come together in a perfect home? It’s an interesting exercise. Everyone daydreams about their dream home, but could you actually describe all the details? 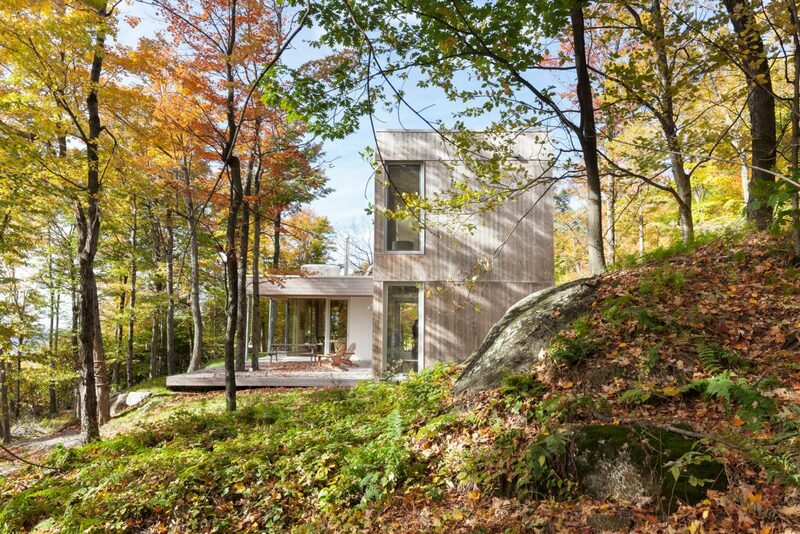 It’s a process that one Montreal couple in their 40s had been working on for about a decade, since they had purchased a piece of land on a mountain in Shefford, in the Eastern Townships. This was going to be the location of their get-away home. But what would it look like? So they let the dreaming begin. They sat at the site and imagined. Up on their little piece of the mountain, away from everything and everyone, they dreamed. 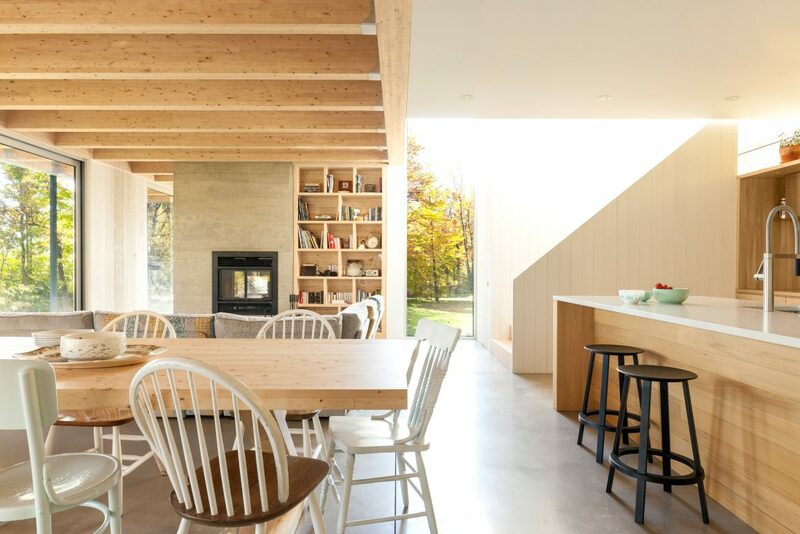 Then, when the moment was right, and they were ready – armed with the concept and the finances – they took their wish lists to the Montreal-based architectural firm La SHED. 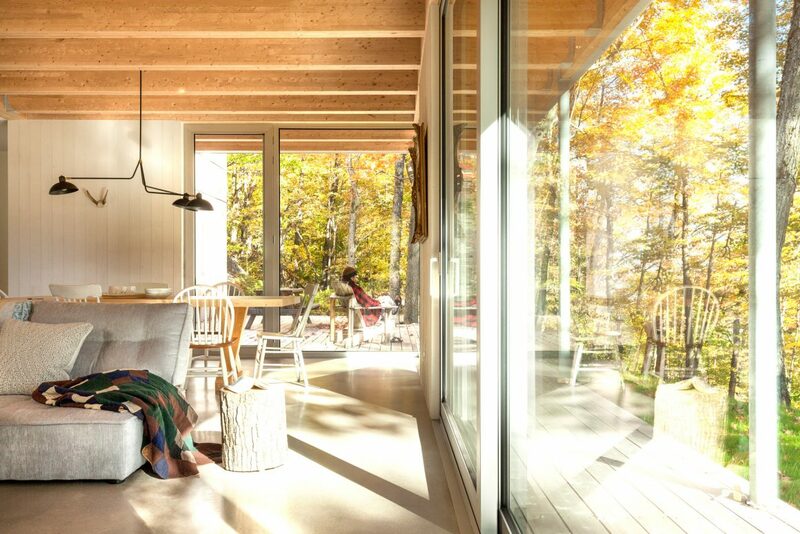 The exposed beams in the living room extend to the outdoors where they buttress the overhang above the main-floor deck, which wraps around two sides of the house and is built around trees. For this couple, the images in their minds had as much to do with what they wanted to see outside their home as in it. But at the centre of the entire plan was a romantic notion of getting away from it all, of embracing the tranquility and seclusion of the mountain, and sleeping under the stars – in their own bed. 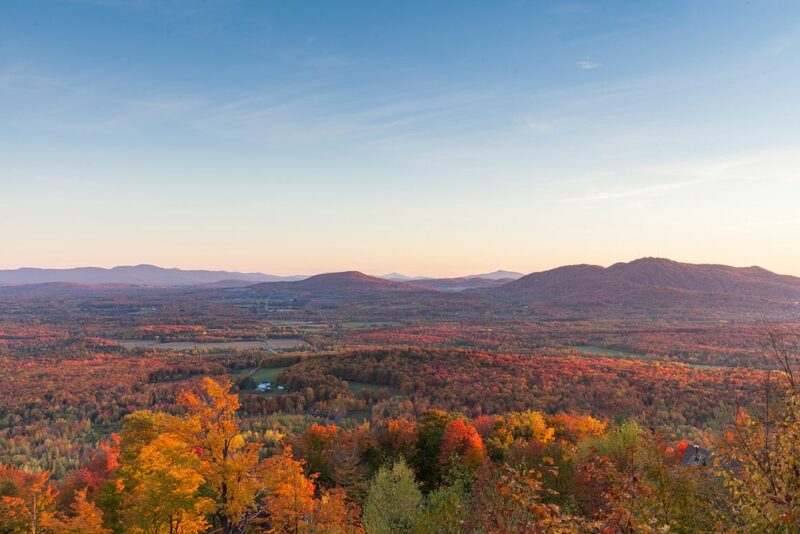 This meant ensuring that all the windows on the south side of the house, which faced the view looking down the mountain, were large. And that all the main living spaces would be on this side of the house – the living room with a long gallery on the main level, and the master bedroom with a large terrace on the upper level. 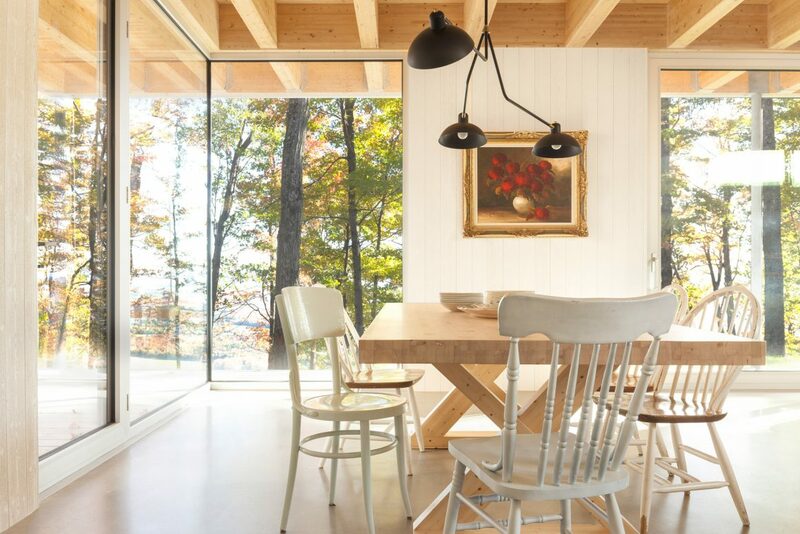 The single-storey area of the house features exposed ceiling beams of Nordic Lam, an engineered spruce. The owner used scrap material from the construction to build his own table. The floors and the fireplace surround are polished concrete. The main entrance would be positioned on the north side so that walking into the house would mean walking into a view of the mountain. “The site is so special because you are up high in the mountain, you feel isolated from everything,” Laurin says. It is a refuge, where there are no neighbours within sight. 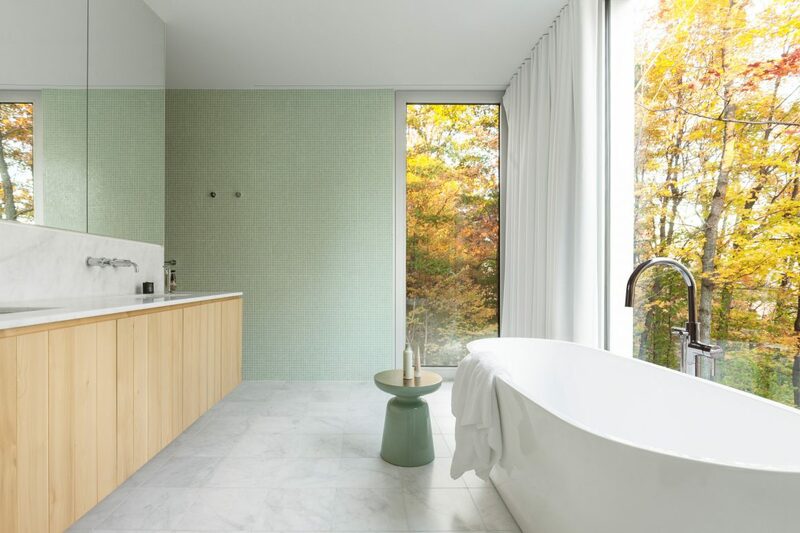 In fact, the remote location allowed the homeowners to put the large soaker tub in the ensuite bathroom in front of the window, and to install an exterior shower on the main-floor terrace. But the site also allowed for one of the couple’s unusual must-haves on their list. 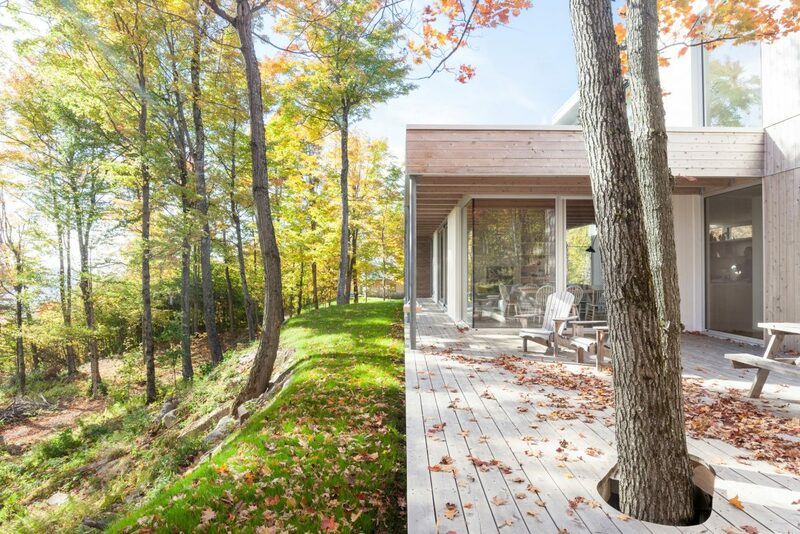 They wanted the threshold between the master bedroom and the outdoor deck to be seamless so that on starry summer nights, they could effortlessly roll their bed, which they put on casters, out of their bedroom and onto the terrace, where they could gaze up at the sky and feel the fresh night air. 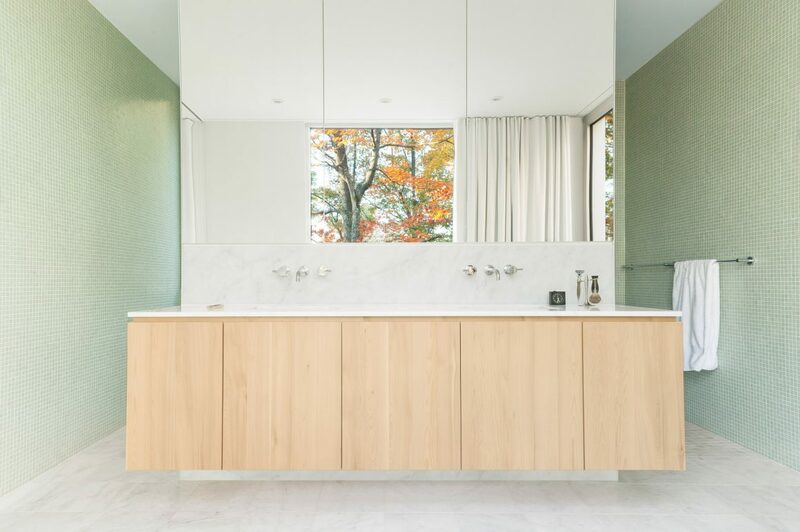 The master bathroom has marble floors and a free-standing soaker tub that is positioned by the window, where the homeowners can relax and take in the view. The floating double vanity is framed by an access to the toilet area on one side and the shower area on the other. The walls are finished in a light green glass mosaic tile. 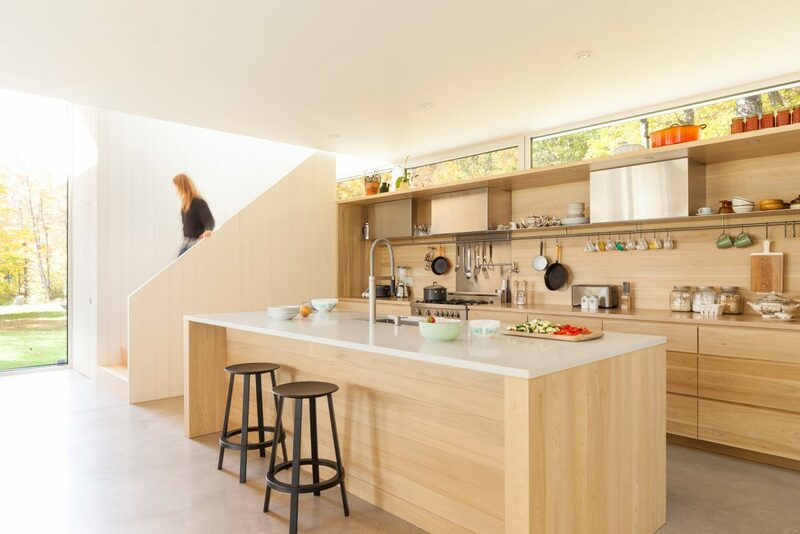 And then, of course, there was what was created in the interior.“ I really like the living area – the kitchen, living room and dining room with the gallery that goes around. 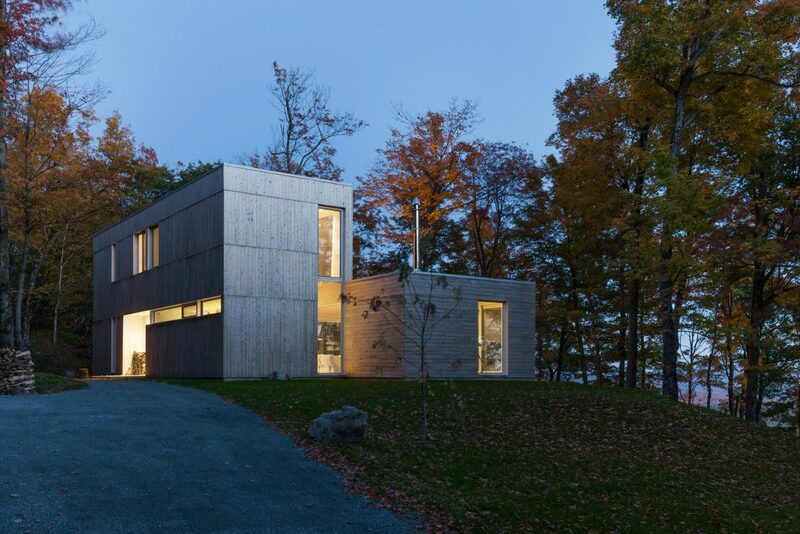 It’s a very good balance between contemporary architecture and the spirit of a traditional country home,” Laurin says. 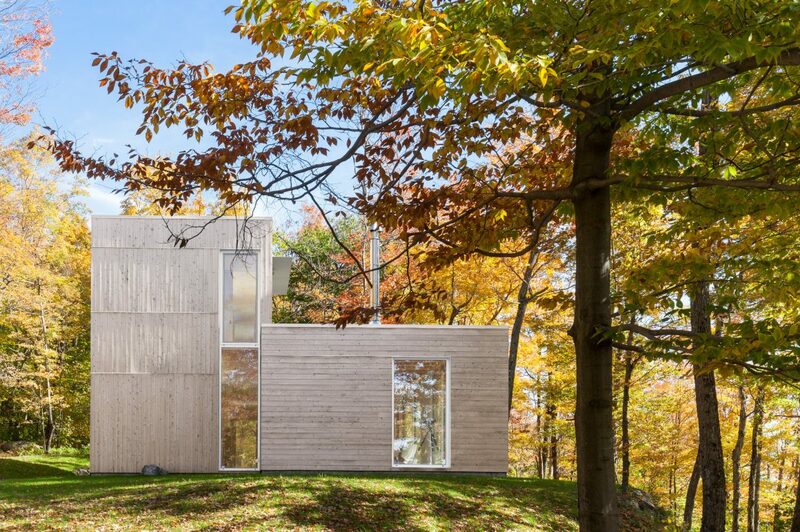 The owners built the house themselves based on the design created by Laurin and his team. “He followed our plan from the beginning to the end on every aspect. The view on the south side of the house is nothing short of stunning. 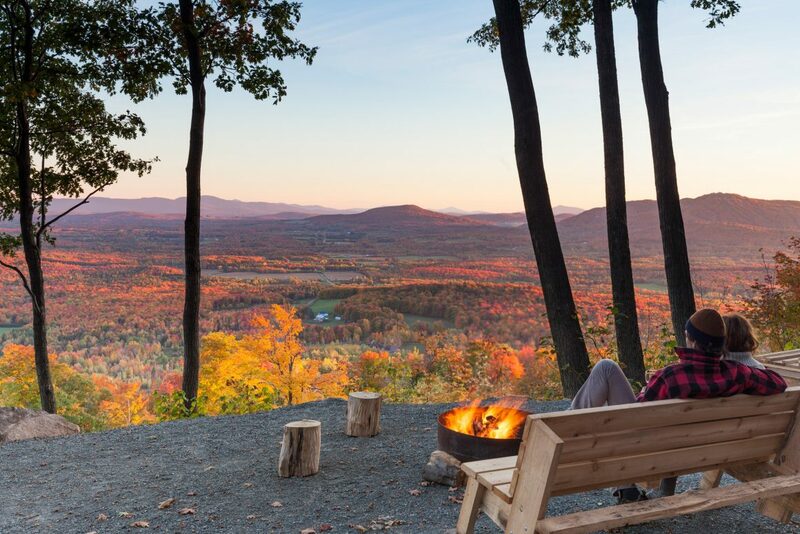 Here, the couple can sit and gaze out at the expanse by a small outdoor fire.